These trips are custom made for whatever activity and time period you have in mind. Want a family outing in the mountains for a weekend? Hang out with friends? Or maybe you just want to get away from the city for a while? Whatever the reason, we have a variety of fun activities in a beautiful setting. 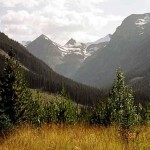 We offer guided camping, hiking, and horseback trips to just mention a few. Contact us for further details. Noted as being one of the most exciting animals you can hunt in North America, our area in the Kootenays is one of the few places that you can still hunt these giant bears with high population densities. Our Grizzly hunts are conducted in early spring when there is still a large amount of snow on the ground. Hunts are spot and stalk with truck, horse, ranger, or traveling on foot being the main forms of transportation. Expect to travel on the borderline of the winter and spring seasons, giving you a unique perspective and an adventure to be remembered. Hunts take place during May and early June with limited tags available. Comes with a black bear tag. Our territory hosts some of the highest black bear populations in Southern BC due to top quality bear habitat. Expect to see multiple bears with a variety of hide colours with a very good chance of spotting a colour phase bear (we see a good number of them each season). Our bear hunts are very unique due to the snow conditions and have a very high rate of success. These bears often start foraging in early May when there is still substantial amounts of snow in the back country. By passing on the smaller and immature bears your odds are great for connecting with a mature animal. Hunting is spot and stalk with travel being by truck, ranger (side by side with tracks), or on foot. Bring a friend for a 2X1 hunt! Also a great hunt for a beginning hunter! Fishing can be included in the trip for just the license fee. There’s not a lot that’s more exciting than calling in bugling bulls, often very close and personal, a true memory that will stick. By covering multiple slides and calling, you can hunt the September and October months for these mossy horned giants. 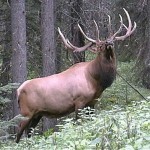 Our bulls’ average Boone and Crockett score are around 300 inches and there is always the chance at that true monster. Hunts are mostly conducted out of spike camps consisting of cabins and wall tents. 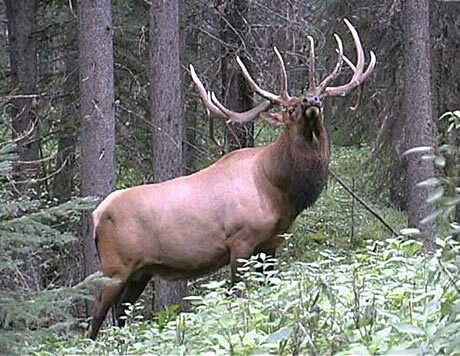 In the East Kootenays a six-point rule is in effect to allow these bulls to reach maturity. Come during the October – November season for some outstanding Shiras Moose hunting. Our Bulls often reach the 40-50 inch range to give you a great trophy, not to mention delicious meat! By spot and stalk and calling during the rut, we hunt these huge bodied animals to give you an epic experience. 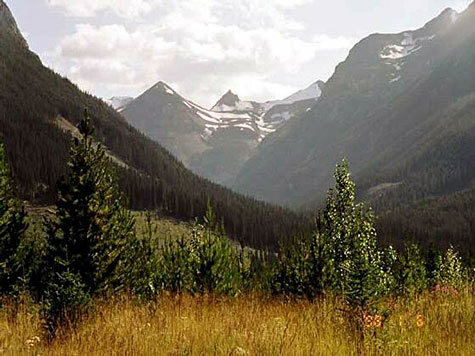 An underestimated trophy is the dark antlered deer of the Rockies, with both whitetail and mule deer being found in abundance. While generally not as large as deer found on the prairies, the odds are good for getting a beautiful buck with a chance at getting giant mossy horns himself. This is an outstanding backcountry hunt! In the past, up to 190 inch mule deer have been taken, and whitetail populations have steadily risen over the past few years. Great as an add on species on a combo hunt! 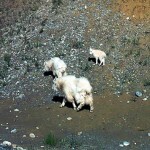 Nothing truly amplifies the high country experience as much as hunting goats on their home turf. 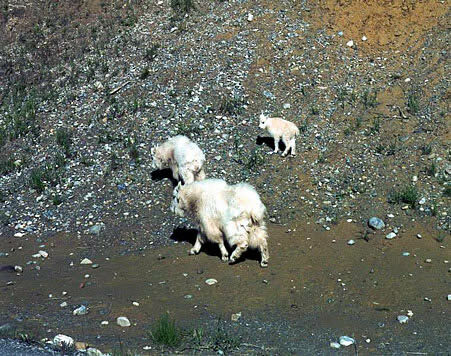 Mountain goats are our specialty with our territory having great population numbers with high success rates on mature billies. Hunters must be in good shape for a hunt to be successful, as you often have to climb in rough terrain. This is truly a hunt where you’ll be on top of the world! – Mule deer in particular are a great add-on species for this hunt as you often run into them while hunting mountain goats. We hunt cougars during the winter months using hounds and fresh snowfall to pick up tracks. Our cougars average around 150 pounds and there is true potential for a 180 lb. plus cat. Due to the large amount of ungulate winter range in the territory we have very healthy populations of these elusive cats. We also have great lynx and bobcat populations which can be hunted singularly or in a combo hunt with cougar. Hunts are conducted by truck and ranger while searching for tracks, and then on foot when a large track is found. As wolf populations are stable in many places in the Kootenays, we encourage you to throw in a wolf tag at no extra cost other than the tag fee in each hunt package so in case you see one, you can gain a unique and rare trophy and also take part in wildlife management.